We know it is important to you to keep your teeth healthy and to save your natural teeth for as long as possible. No matter what condition your teeth are in, right now is the best time to begin taking care of them. We can help, and it’s easier than you think when you take it one step at a time. keep your teeth by keeping them healthy! We listen to you and explain our procedures, keeping you at ease at all times. We use the latest technology to provide a comfortable, gentle and pain-free experience and to give you accurate, quality work. Dr. Mironov recommends that his patients come in twice a year for regular dental checkups. The dentist will perform a complete oral examination to catch early signs of tooth decay or gum disease and advise you on your dental care. Nightguards – Many people unknowingly grind their teeth during their sleep. We can help identify if you have bruxism, and prepare a custom-made nightguard to help prevent further damage of your teeth. Invisalign – In addition to handling more severe bite problems, Invisalign can be used to correct mild alignment problems that will help you clean your teeth better and avoid tooth decay. Oral Cancer Screening – Oral cancer can pose a serious risk to your health, but the good news is that we can detect in its early stages when the chances for a cure are highest. 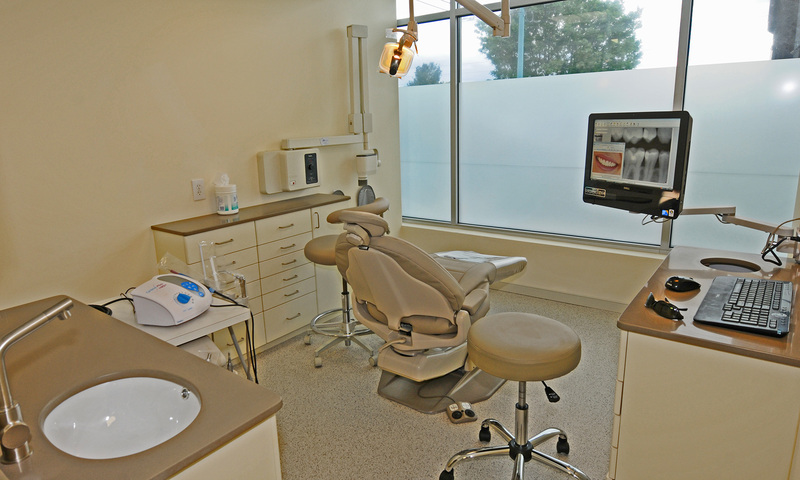 This is a regular part of our checkups at Urban Smiles Family Dentistry.